On October 1st, Eat for Change! 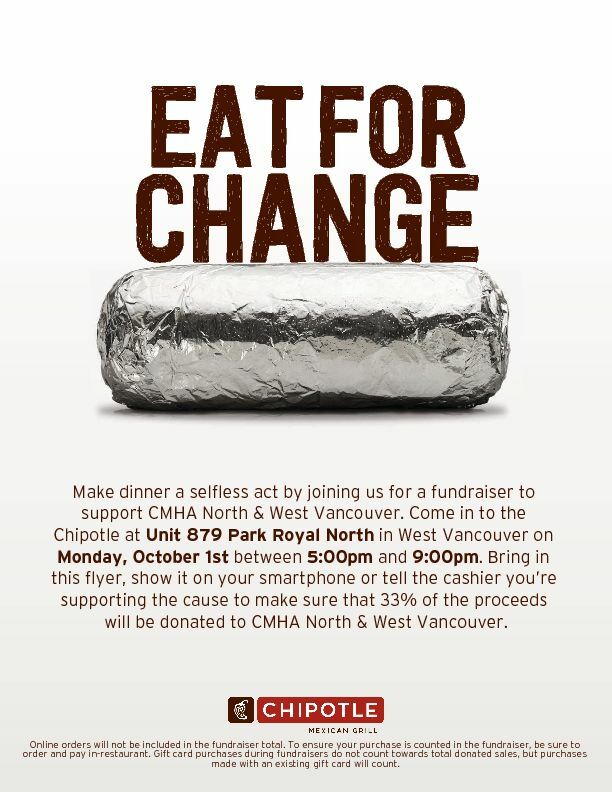 On October 1st from 5:00 – 9:00 PM, join us at Chipotle at Unit 879 Park Royal North as we Eat for Change! When you show our flyer or mention our fundraiser to the cashier, 33% of your purchase will be donated to support our Steps Youth Program. Invite your friends and family to indulge in some delicious Mexican food as the community comes together to Eat for Change to benefit North Shore youth, we’ll see you there!